To say that 2016 was a year of transformation and growth would be an understatement, and if we tried to share all of our changes, triumphs and challenges in person, we would probably need a glass of grape-based beverage at hand rather than a cup of tea ;) Suffice to say that the journey that enabled us to reach our most ambitious goal to date - 100% of our Geckos residing in safe community living environments - which included launching a Women’s Village with eight homes, two Sibling Houses, two foster homes, an adult girls’ house, an adult boys’ house and safely reintegrating everyone else back into their family homes... has pretty much kept us on our toes. And that doesn’t even include us stepping it up a level with our Rehash Trash mums, whom we are providing full-time work and the ability to take better care of their families. Or getting 12 young adults successfully through the Grade 9 National Exams and two young women through the Grade 12 National Exams year – an endeavour that was tougher than we thought. Or organising two international trips for one of our Rising Stars. And neither does it include placing 16 young adults in work experience, and another 10 in part-time work. Nor does it cover the notices that we received from several of our biggest donors that their financial situations have changed and informing us to prepare for reduced funding contributions, which we have been diligently doing ever since. This has meant that we needed to come together even more as a family and make further changes to help budget and save money where we could. The kids called another Family Forum with their parents and, together, we discussed our financial situation openly with them. During the forum, it was actually suggested by the families themselves that we significantly reduce the amount of welfare they receive. As one Rehash Trash mum put it, "We all have good jobs now and a lot more skills than before. We can take care of ourselves now, we don’t need to rely on Green Gecko forever". It certainly wasn’t the response we were expecting, but it was gratefully accepted through floods of comforting tears. 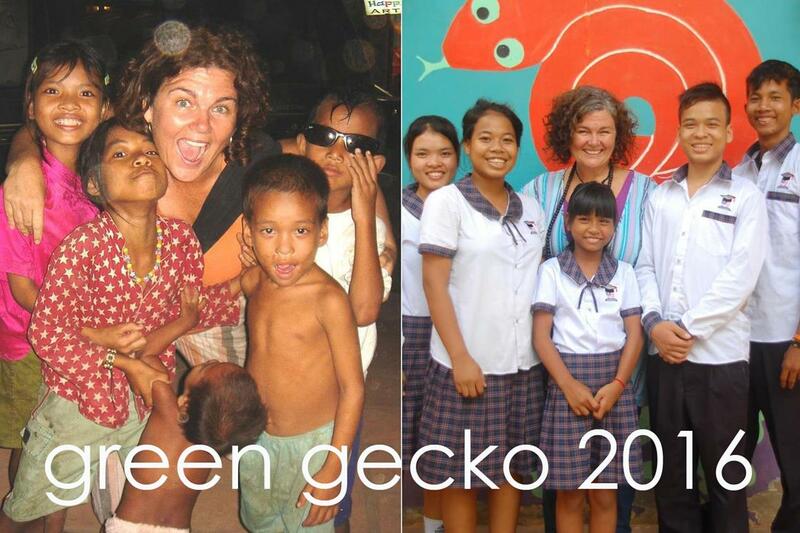 In addition we had twelve amazing young adults graduate from Green Gecko intrepidly transitioning into their new lives out into the big wide world, quite a few of them in another province several hours away. This didn’t happen overnight. Months of researching vocations, universities, courses, accommodation, filling out application forms, preparing CVs, and stress and anxiety (for all of us) while waiting to hear if they passed. And after all that, we went through the process of finding and setting up their new homes and managing homesickness and a range of other emotions which are normal when you move away from a family of 100+ people. All the while – throughout this same period – everybody at Green Gecko endured the emotional turmoil of having to say farewell to and arranging family funerals for five Gecko parents. Yes, 2016 was a huge year and one we are proud to have survived it. It is with pleasure that we present to you this Annual Report highlighting our special moments, our milestones and our financial reports. Other than the original Gecko Central and our Outreach Program, we now have five projects under our umbrella that reach far beyond the Green Gecko gates; including our Women’s Village, Tiger Club Day Centre, Gecko Action – Humanitarian Youth Group, Young Adults’ Program and five social enterprises comprising Rehash Trash - Vocational Training for Women, Purple Mango - non-profit wellness centre, Footprints Permaculture Farm, and the independently managed Silk Screen Printing Lab and Grace Gecko - Vocational Centre for Women. It goes way more than being a centre for children. When most people think of Gecko, they’re thinking of ‘Gecko Central’… the hub of the Green Gecko Project and the place we spend the most hours and have the most activity. Fundamentally, it is a fun and loving extracurricular school for 70+ children and young adults with a strong focus on compassion, humanities and family. It is also a place that provides security, education, love and opportunities to them through their formative years and into their adult lives. 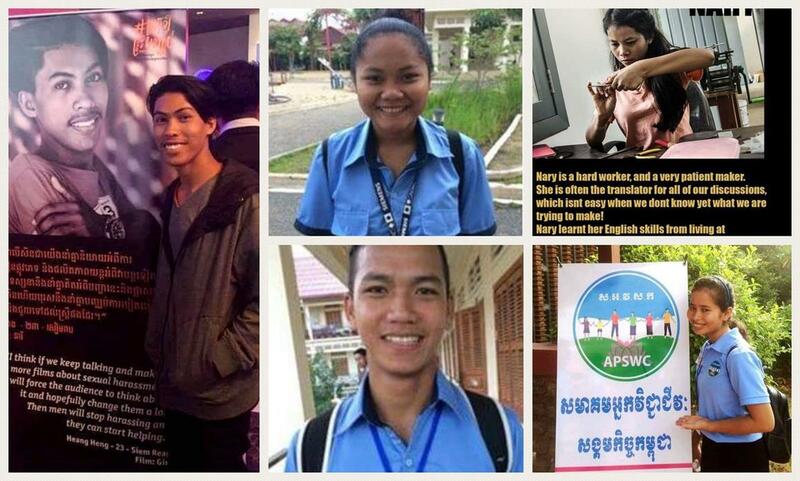 They receive a range of activities including Living Values, Me and My Planet, Bokator (traditional Khmer martial art), Computer, English and Library, Traditional Music, Art and Dance, and Khmer Literacy and Media, as well as care and support and a sense of belonging, empowering them to achieve their full potential. Inside our centre we work on the traditional Khmer kinship care model where older adult siblings look after their younger siblings; they are divided into smaller groups of 10-11 and operate as a small family within a big one. They eat together, do chores together, help each other get ready for school, love and support each other. They have a very strong family-like connection and absolutely consider themselves siblings. The BIG NEWS we've all been waiting for! Gecko history in the making! For the first time in 2,603 days GECKO IS CLOSED! For the first time in 4,096 days GECKO IS NOT SERVING LUNCH! With over half of our Geckos now a young adult, it is important that Green Gecko provides skills and opportunities for them to transition into the ‘real world’. Our new Young Adult Program focuses on job skills such as CV writing, interview techniques and career counselling; explores different tertiary education options from apprenticeships (both school and non-school based), vocational training and university courses; and identifies non-paid/paid work experience options for others. A Gecko impresses local architect company during his work experience. From street begging to Condominium Management in a single decade... that's our big boy Boram! Tiger Club is a safe place that provides education and holistic care to 25+ younger siblings of the Green Gecko children for a few hours a day. Although we previously supported the siblings of existing children to stay at home with safe housing, nutrition, medical treatment and education costs, reports from their school teachers showed a dramatic difference in the results and behaviour between them and their Gecko brothers and sisters. Despite much progress being made with the Green Gecko families over the years in regards to domestic violence, abuse and neglect, it was clear to our family support team that remnants of this remained and these younger children needed more holistic support if they were to flourish like their older Gecko siblings. They now come at 6am to eat a hot breakfast; they join their siblings on the school truck and return with them at 11:30am. They shower, wash their clothes, eat a hot lunch, meditate, nap and then begin an afternoon of educational and recreational classes. They finish the day off with a hot meal and homework before going home. Green Gecko has now successfully reintegrated 100% of these children into community living arrangements, but it took a solid 10 years of working intensively with the families and their communities - weekly visits, family fun days, counselling, micro business, vocational training and employment opportunities, educational programs in health and hygiene, positive parenting, domestic violence, financial literacy and more - to get to this stage. To force the children to go back prematurely - without these long-term support initiatives - would simply have been negligent and dangerous. Green Gecko strongly believes that sustainable success of each child is very much reliant on having long-term solutions for their families. We are extremely proud of our success rate at reconnecting and reintegrating our children/young adults with their families. 100% of our Gecko children/young adults living in the community. One of the biggest leaps we have made in family reintegration has been the formation of the Green Gecko’s Women’s Village. Our Women’s Village comprises of eight homes, inside a secure complex, being rented for the Green Gecko’s single mothers or women at risk of severe domestic abuse and their children. When our children/young adults self-assess their safety at home situation, it is not always the parents they are at risk from, sometimes it can be from extended family or neighbours. Low-income housing often attracts gambling/violence/alcohol/drugs abuse which is one of the reasons why the children/young adults often refuse to sleep at home. Now the Women’s Village has allowed another 12 Geckos to be fully reintegrated with their mothers without risk of abuse. The women and their children have self-determined their own code of conduct and rules which includes no men (other than Gecko family and staff), no alcohol, no smoking and no violence. There is a dedicated visitors’ hut outside the perimeter wall where families can meet male friends/family members. In some sad instances, living with parents is not a viable or safe option, so where possible, Green Gecko look towards the Kinship Care model of alternative care where older loving, responsible adult siblings are supported so they can take care of their younger siblings, enabling families to stay together in the community. In 2015 Green Gecko opened its first ‘Sibling House’. The Sibling House is a few hundred metres from Gecko, in a safe area. It is a traditional Khmer style home with upstairs and downstairs. Boys/young men live in the upstairs and the girls/young women live together downstairs. They do chores together: cook, go shopping and clean, as well as help each other with homework. "An amazing example of successful family integration, starting from the common sense first step that every child deserves safety, respect and an education, a basis on which family integration can be built. And Buddha knows how much time, effort, commitment, vision, love and resilience that has asked from you. I really wish that development specialists on the sidelines take note of this concrete, proven, successful model! You guys at Green Gecko Project are doing an awesome job, particularly in the face of the magnitude and complexity of the problems these families have faced and which not many have tried to understand as well as you! You have been facing all internal and external challenges to your work with an open mind, an amazing flexibility and creativity, a never-ending out-of-this-world energy and belief in what you do and the potential of the kids and their families. I feel so fortunate to be able to watch this incredible transformation. Well done to the entire team and best wishes and good luck with this ongoing work!" - Annelies Mertens, Community Development. Green Gecko strongly believes that the long-term success of each child is strongly reliant on having long-term solutions for their families. And so, Rehash Trash, borne out of a ‘sustainable families' forum' led by the students for their parents, was developed to provide a steady income in a safe and happy environment for their mothers, women who had never had the chance in life to know what it was like to have a steady job that was neither degrading or dangerous. It needed to be easy - as some of the mothers suffer from disabilities, others from addictions and nearly all from symptoms of poverty and abuse – and it had to be cheap, with minimal or no raw material costs. The result was Rehash Trash, a daily workshop that turns dirty roadside rubbish into beautiful household and fashion items. Sadly, in Siem Reap, raw material is in abundance - discarded plastic bags can be seen everywhere, on the roadside, in gardens, rivers and fields. But, at Rehash Trash, we are helping to clean up our environment by collecting some of that rubbish and up-cycling it into useful and beautiful products… while at the same time, changing and empowering the lives of our mothers and their families. Each of the women attend a morning workshop 5 days a week, which ends in an engaging Khmer literacy or English language class, where our mothers are learning the Khmer alphabet and how to read and write for the very first time, and to master basic spoken English. Every week the mums also take it in turns to run smaller workshops in our own shop in central Siem Reap, giving them the opportunity to teach visitors the crochet skills that they have learned, which is a hugely empowering interaction for them. The women also have the opportunity to see their own products beautifully displayed and being sold to the public, and they are delighted to receive customer feedback and praise on their work. 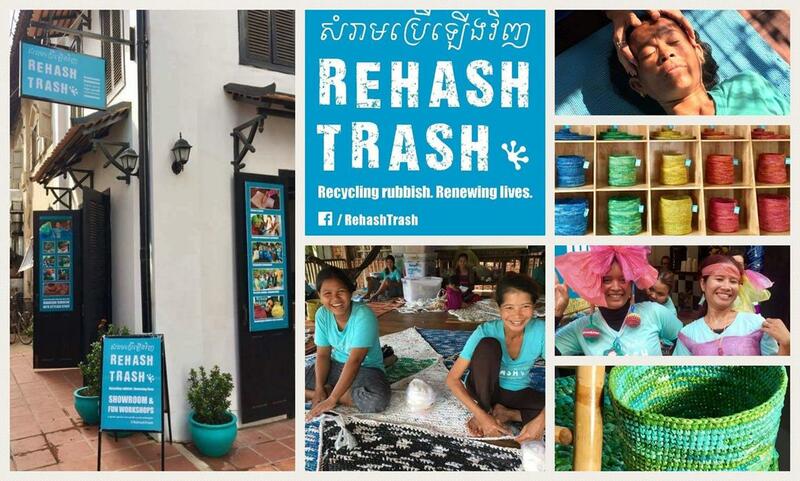 They are involved in every step of the Rehash Trash process, from the collection and washing of plastic bags; to the preparation and crocheting of products; to promoting Rehash Trash in Siem Reap. 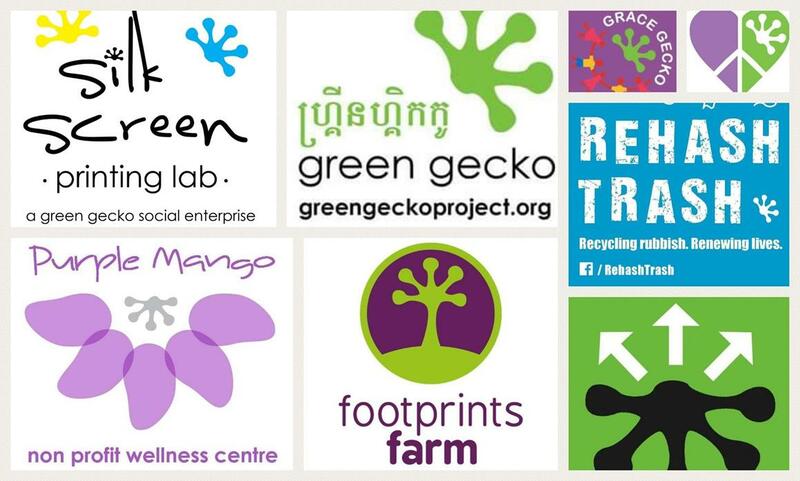 Rehash Trash... a social enterprise which is providing a sustainable future not only for Gecko children and their families, but also helping to clean up the environment of Siem Reap. 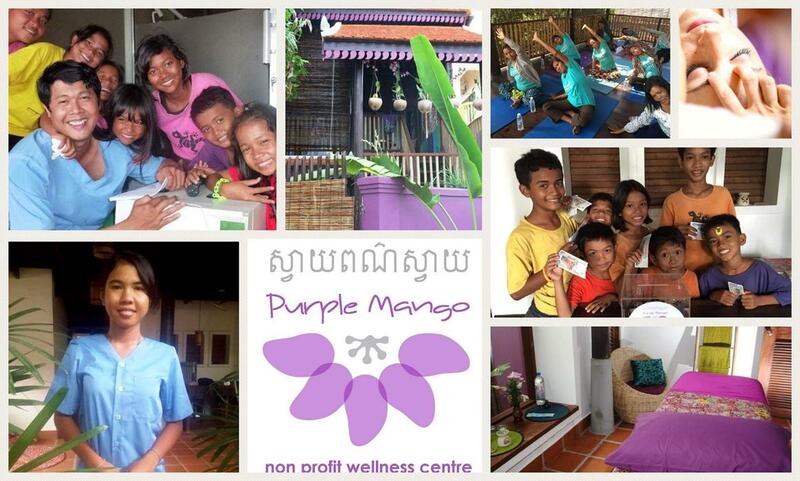 Purple Mango Wellness Centre is a Green Gecko a non-profit social enterprise that provides treatment spaces for visiting and local practitioners from all forms of holistic therapies. Services provided are primarily offered to the expat community using an affordable fee structure, which then enables us to offer treatments to the Khmer community on a donations basis, depending on what the individual can afford. Included in those treatments is a weekly dental clinic, offering fundamental dental care not only to the Gecko family but also to our extended Khmer community through our partner NGO network. Inspired by Rotary’s youth group, Rotaract, the older Geckos decided that they wanted to do the same, they wanted to give back to their community. 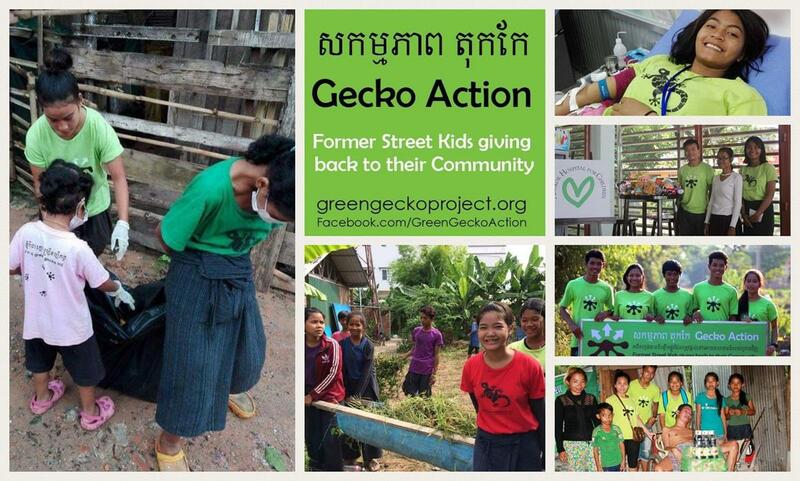 Together they have created Gecko Action, they have regular meetings, come up with ways to raise funds and assist those in need. They even designed their own logo and came up with the meaning behind it. Here are just a few of our trials and tribulations. 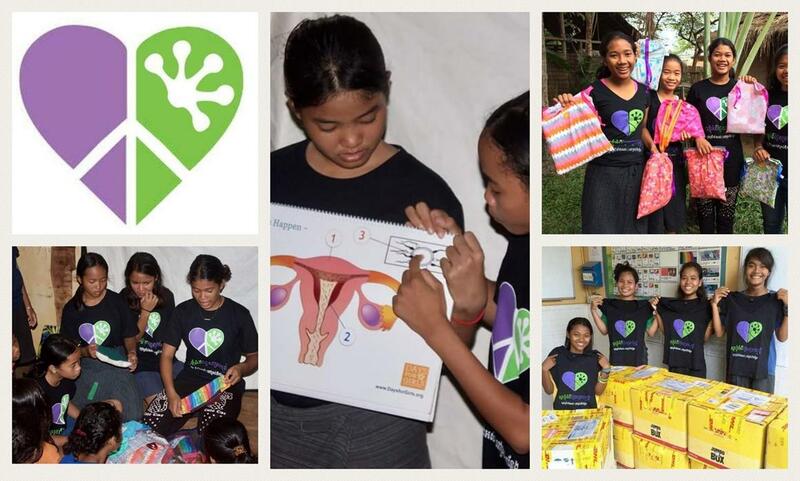 Fortunately the girls at Green Gecko and beneficiaries of Hearts to Harmony have access to feminine hygiene products, but there are many girls and women throughout Cambodia who, without these essential products, are experiencing too many days without school, days without school, days without income, days without leaving the house. Working together, Tnai Samrap Srey has distributed hundreds of feminine hygiene kits through our peer education program and continues to raise awareness of female hygiene issues in Cambodia. Feminine Hygiene in a women's prison. 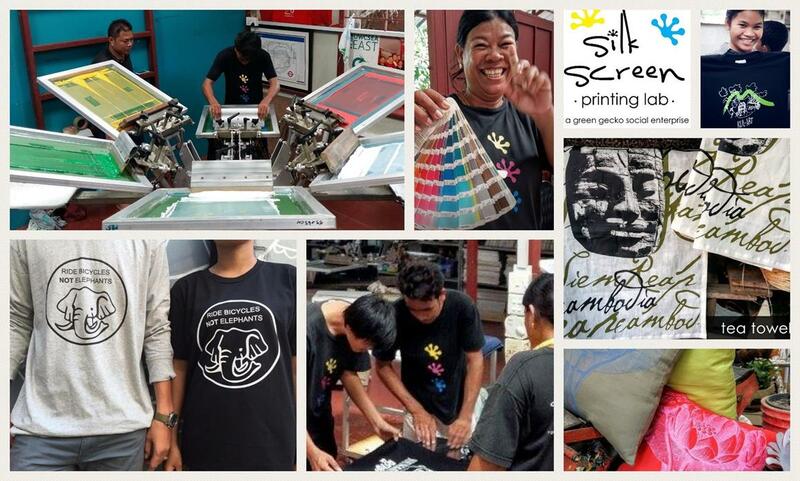 As a successful Green Gecko social enterprise, the Silk Screen Printing lab produces export quality prints at affordable prices, whilst using profits to support former street children and their families though the Green Gecko Project. 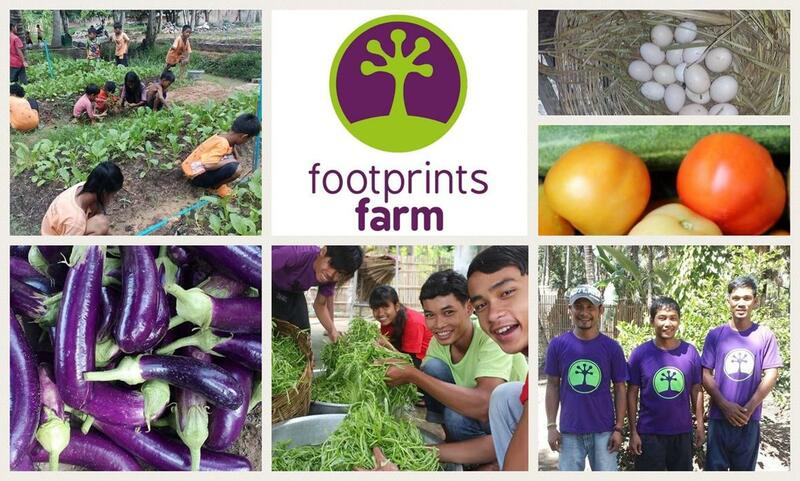 With our ethical and transparent business model, we offer responsible organisations the chance to put some good in to their supply chain. Not only producing quality t-shirts for Cambodia and abroad, we deliver fun and creative one-off workshops for local Khmer children, visitors and expats alike. Joining forces with Grace House Community Centre, Grace Gecko is giving hope and skills to vulnerable women. Our mothers are beautiful women, who, with support, can provide for their family. 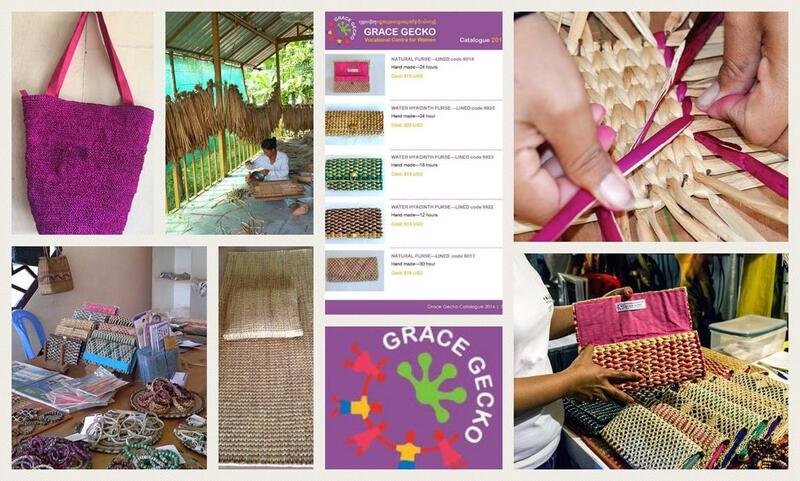 Alongside Grace House mums, our Gecko mums are learning the latest weaving techniques and creating everything from bags to hammocks, using the best natural materials and under fair working conditions.